[Inside Rapha Boulder. Photo: rapha.cc] Whether you’re looking for that perfect cup of joe or just need a place to work, Boulder is teeming with great cafes. 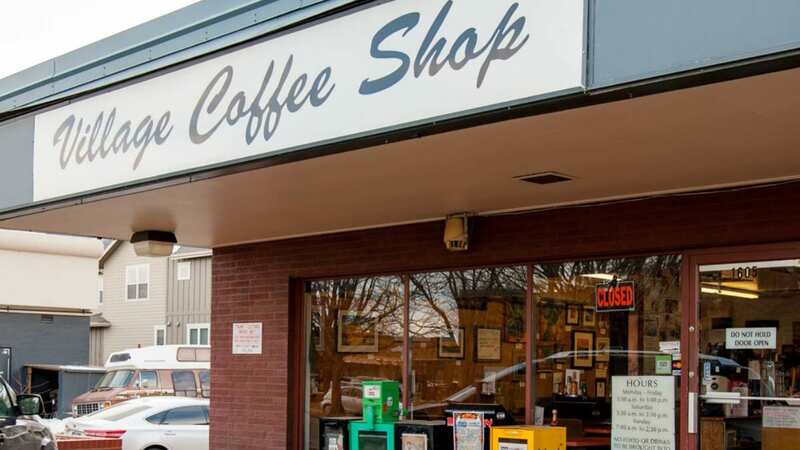 As the home of University of Boulder you’ll find coffee shops on seemingly every commercial street in town. There are a wide arrange of coffee shops to choose from. Some are perfect for a late night study session, while others close up shop right after dusk. There are those that are too noisy for intricate work and better for a social gathering or take away type of place. There’s an even an old school diner on the list, which is great for grubbing in the morning hours. 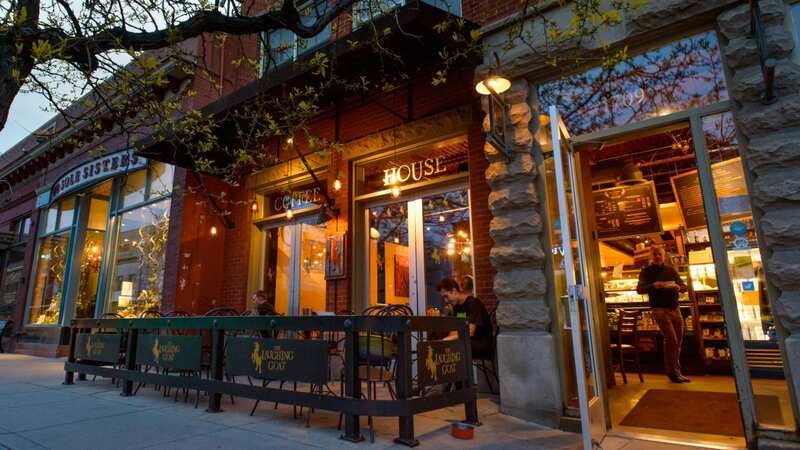 Whatever your studying style is, you can find a suitable cafe with amazing coffee and atmosphere in Boulder. Many coffee shops attract students and remote workers looking for free wifi and a cool place to work. If online safety is a concern, learn more about VeePN to protect your privacy. VPNs allow you to create a private connection across a public network, routing your connection through a server and encrypting your online actions. If you’re using an online banking app, sending business emails or otherwise sensitive material, you should probably use a VPN. Rapha is one of the most unique coffee shops in town. 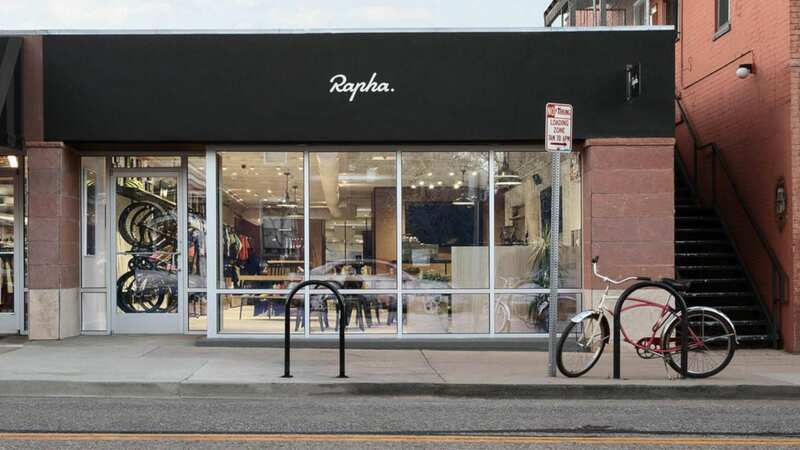 Tucked away at the eastern end of Pearl Street, Rapha Clubhouse is part clothing store, part cafe, and part cycling club. The Rapha Cycling Club hosts organized group rides a few times per week, including a lunchtime Humpday Hump Ride, and morning Saturday Open Club Ride. It’s the perfect way to combine your love for bicycling with fine coffee. Their cafe shows race races on TV, hosts special events and offers the complete linup of Rapha clothing and apparel. There are several locations around the United States, and even more around the world, each unique to the region, offering locally sourced flair and flavor. 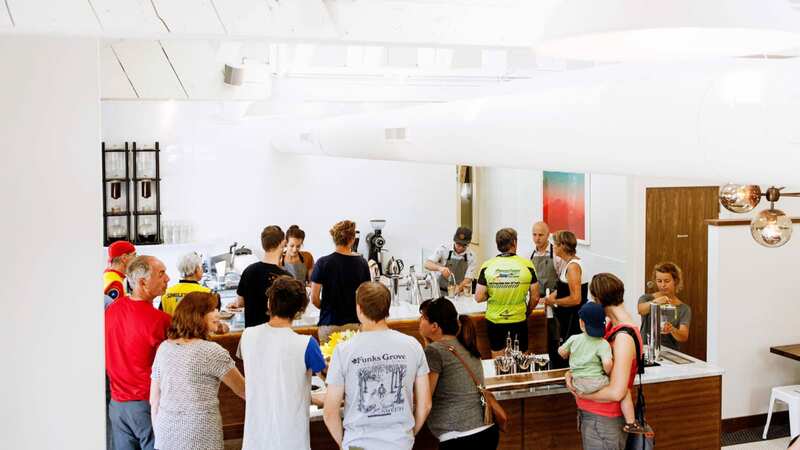 Rapha Boulder is open every day from 8am to 5pm. 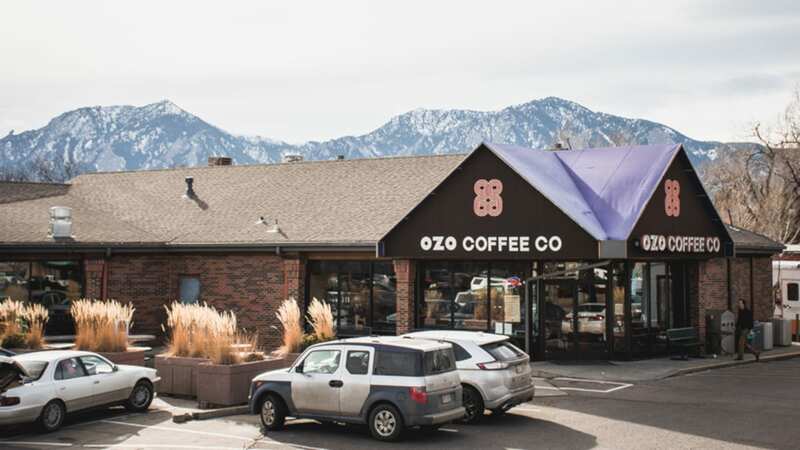 Established in 2007, Ozo has several locations in Boulder County, including Arapahoe Avenue, Pearl Street, S Flatiron Court, as well as South Hover Road in Longmont. They even offer a home subscription service, delivering premium fresh coffee beans to your door. 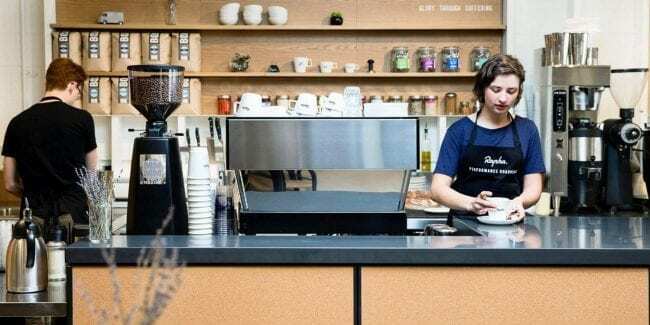 You’ll be able to tell Ozo Coffee Co takes their craft quite seriously, with highly skilled, passionate baristas and roasters. Each speciality batch is roasted to highlight its unique and optimal flavors. All their retail shops guarantee your satisfaction when ordering any of their house special, Bhakti chai, or a cup Ozo Blend drip coffee. All of their cafes are open daily, with the exception of South Flatiron Court, which is open only weekdays. Trident Booksellers & Cafe on Pearl Street. 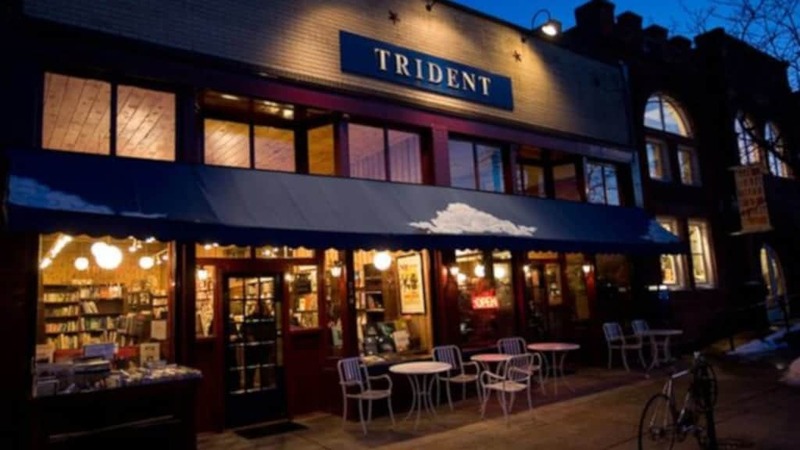 Another Pearl Street staple, Trident Booksellers has a long history serving the community. In fact, they are the oldest coffee shop in Boulder. The place was founded in 1979 as a Buddhist bookstore, before adding a cafe in 1982. Later on, in 2017, they even started their own book publishing house, Trident Press. This one’s open later too, operating until 11pm every day of the week. They have a lovely ambiance, outdoor seatings, book readings, as well as live concerts and plays. The menu contains a full range of coffee and teas, as well as a unique collection of used books. They source their premium coffee from Campos Coffee, who follow a similar direct trade model, involving no middlemen and believing in giving back to the community. They’ve carefully cultivated one of the country’s best selections of tea by trading directly with family farms. Sip on top oolongs and green tea from Japan and China, pu-erhs, and black teas from England and China, as well as herbal blends. 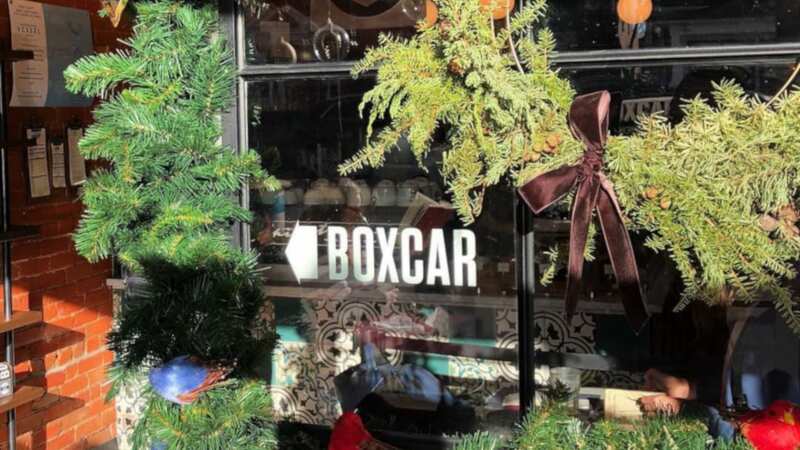 Serving their own roasted coffee, Boxcar is a primo Pearl Street cafe. They offer a full line of hot and cold brews, fresh juices, and baked goods. If you love coffee, cheese and chocolates, this place is a can’t-miss. Try the sticky bun or butter croissant, both are amazing! The ambiance is relaxed and sunny, with a good vibe for studying. If your love their roast, you can order a home delivery subscription and save money on beans. Or pick up a Bottlerocket Cold Brew, available in 10.5 ounce glass bottles for perfect coffee on the go, or 5-gallon kegs for the whole office. They sell brewing equipment and will even service your own gear, whether it’s an espresso machine or coffee grinder. Boxcar Coffee Roasters is open every day of the week. This is another wonderful cafe with top notch coffee and provisions. Alpine Modern has a tasty selection of brunch dish, with several open faced sandwiches like the Avocado Tartine and Alder Smoked Salmon Tartine. The coffee lineup includes all the classic espresso shots, lattes, Americanos, mochas, and cold brew. Add almond milk or oat milk to your beverage too. Alpine Modern Cafe has two locations in Boulder, one on Pearl Street and the other on College Avenue in University Hill. Both locations feature a modern and sunny atmosphere. They open are everyday morning to afternoon. Inspired by clean living, Alpine Modern even publishes a quarterly magazine. Whether you’re looking to cure a hangover or get your day started out right, this classic diner will hit all the right spots. It’s a tiny, “no-frills” cafe perfect for traditional American style breakfast or lunch. Their coffee is tasty and hot, and it pairs perfectly with all the delicious food. Although won’t find craft roasts here, just drip coffee and mocha, the attentive staff will keep your cup of coffee topped off. It’s probably one of the best diners in the state, known for its fluffy pancakes and big portions. The Village Coffee Shop will make you feel welcomed instantly with its friendly staff and hometown atmopshere. Their motto “890 square feet of reality, surrounded by Boulder” is proof of their down-to-earth vibe. It’s open every day from morning until early afternoon. The Laughing Goat is one of the most popular cafes in Boulder, doubling as both a coffee shop and performance venue. They have three locations in town: Campus, Downtown and East Pearl. In addition to coffee, they serve wine and beer to go with their nightly live music or daily happy and vibrant ambiance. The walls are lined with rotating photography/art, keeping the scene fresh. Their Downtown location on Pearl Street is open until 11pm, so you can work or play late there. The Campus cafe in situated in the North Library, and also open late, until midnight Sunday through Thursday, and 5pm on Friday and Saturday. For finals week they are open 24/7! The Baby Goat on East Pearl has an earlier closing time. They are open daily morning until late afternoon. These are among the best places to work in Boulder, with plenty of seating and outlets. It’s no surprise that Boulderites take their beverages passionately, just as they do food and nature. While in town be sure to stop by one of their aforementioned cafes for an exquisite cup of coffee. If you head down to the capital, be sure to check out some of Denver’s best coffee shops while in the Mile High.